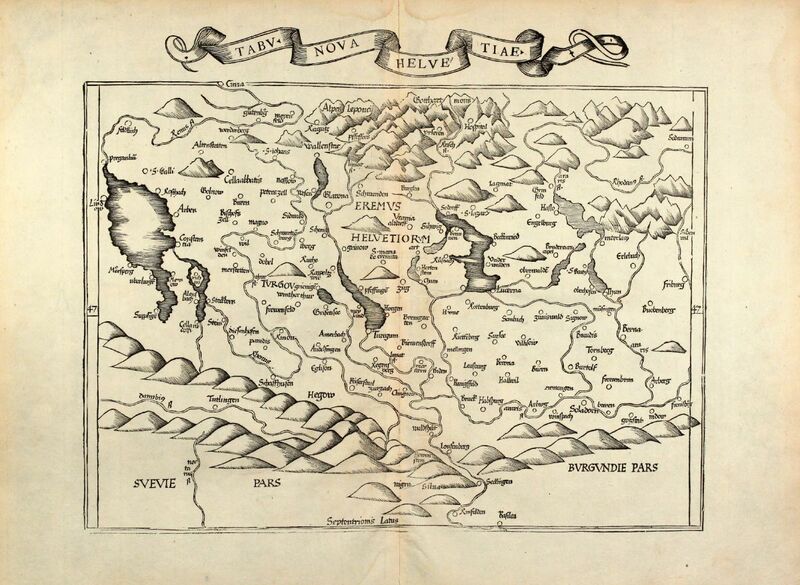 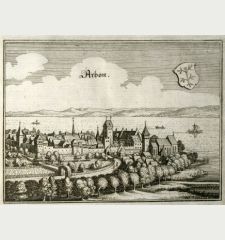 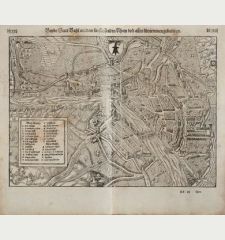 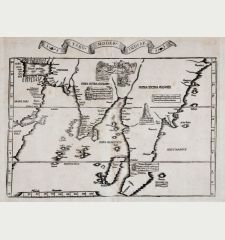 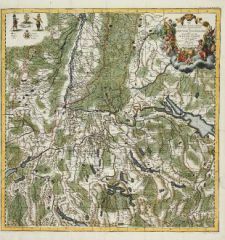 Woodcut map of Switzerland by L. Fries. 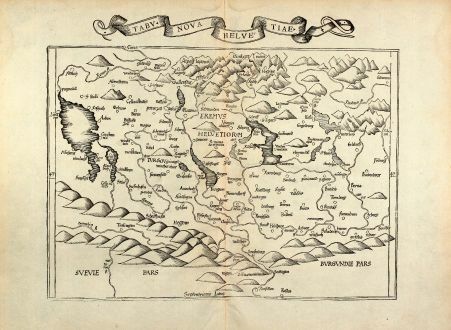 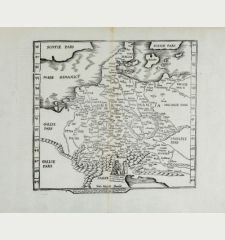 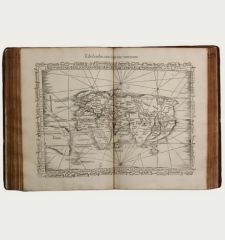 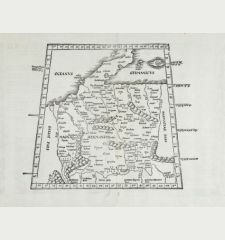 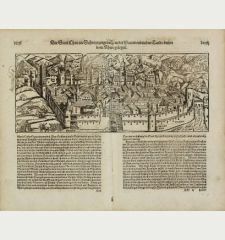 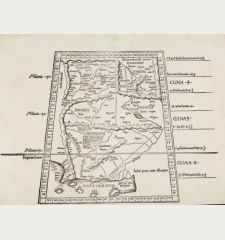 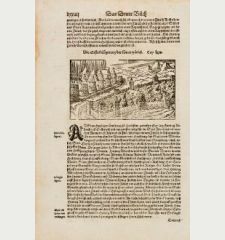 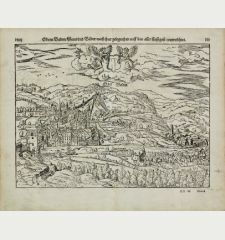 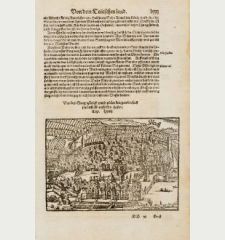 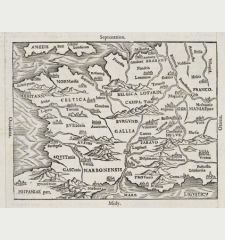 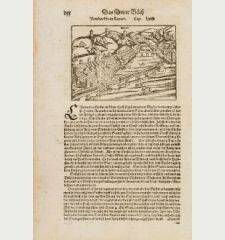 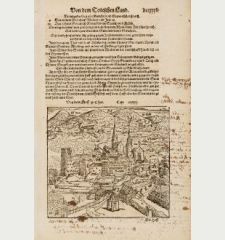 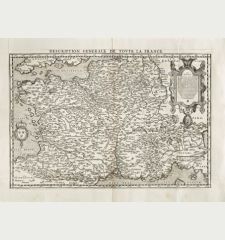 From the 1535 Lyon edition of Ptolemy's Geographia edited by M. Servetus and published by M. and G. Trechsel, printed from the 1522 woodblocks from the first Fries edition. 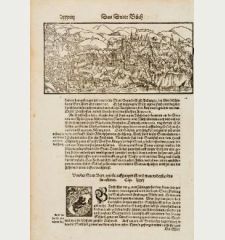 With a beautiful woodcut title banner on top, which only appears in this 1535 edition. 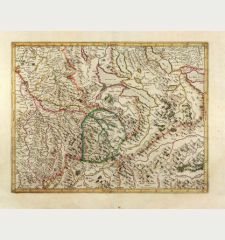 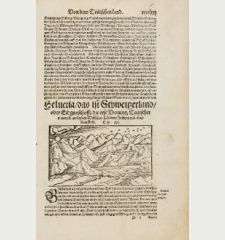 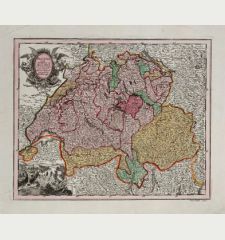 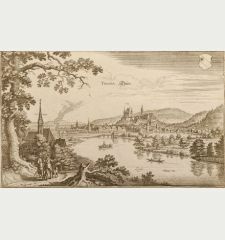 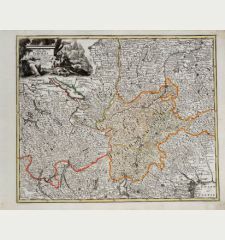 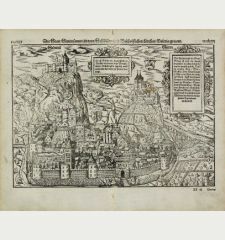 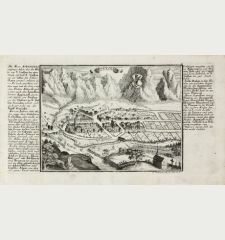 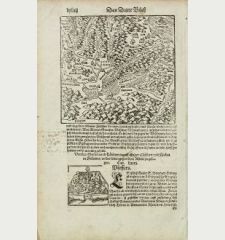 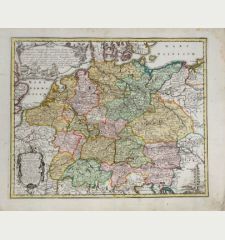 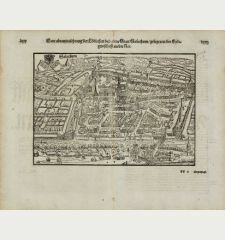 This is a sized reduced copy of the Waldseemuller maps from 1513, the first printed map of Switzerland. 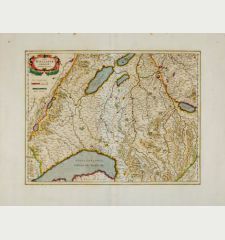 Slightly waterstained in upper white margin. 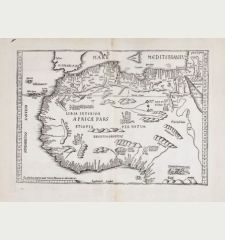 Very good copy.